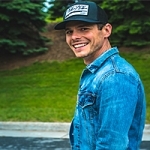 Granger Smith born and raised Texan, Granger Smith and his alter ego Earl Dibbles Jr. have caught fire across the country. His line “Yee Yee” has a near cult-like following, especially with rodeo contestants and fans. A social media following of more than 7 million, and videos exceeding a quarter of a BILLION views, Smith has amassed a rabid audience. His current album When the Good Guys Win includes hot singles like “You’re In It” and “Happens Like That” have made him a crossover artist to Hot Country. His Podcast, “Granger Smith Podcast” soared to #1 on iTunes.